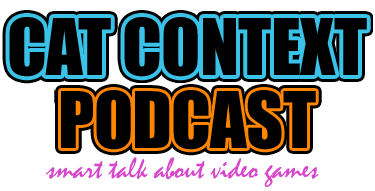 Episode 46 of the Cat Context podcast is now available! This week, Liore, Aro, and I sat down to talk about all of the information coming out of Blizzard recently. Specifically, regarding Warlords of Draenor. Topics include: instant level 90 characters with a purchase, mass trimming of class abilities, and Proving Grounds-gated heroic dungeons. Liore tried to get straight to the meat of arguing over the price of a level 90 character, but was interrupted by a discussion of whether it was even something that was a good idea. Arolaide tries to figure out how we are going to define “good players” and separate ourselves if all of the skill-defining abilities are gone. And, finally, we try to figure out what, exactly, is a reasonable level of difficulty/expectation for players attempting the new Proving Grounds. There is heated discussion! And, of course, what discussion of WoW would be complete without predictions relating to poop quests? Or bitching about Paladins? And reminiscing about that one random time we actually used Mind Vision.